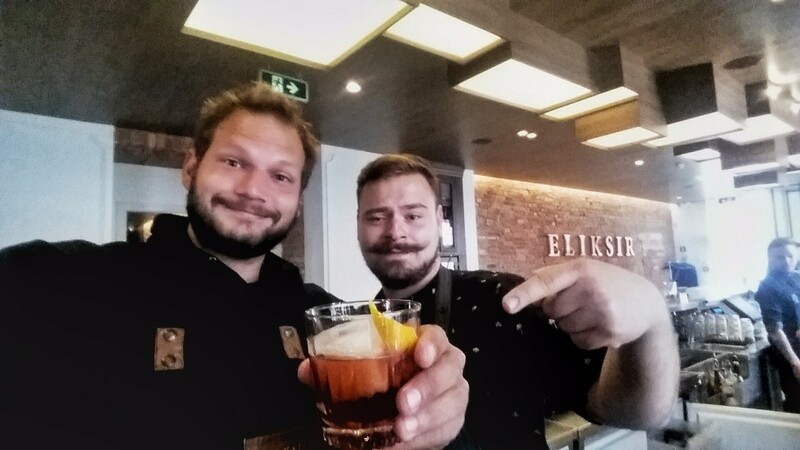 My last mission on the Gdansk Challenge took place at Eliksir, a high end cocktail bar in Gdansk. I had to create my own cocktail with the help of cocktail master Grzegorz Nowicki. The man has a passion for cocktails and is recognized as one of the best cocktail makers/shakers in Poland and beyond. He showed me some of his own creations and helped me create the 'Social Cocktail' that you of course share with friends. It's been a pleasure learning from this epic team and I invited some friends and followers from Gdansk to join the party for some refreshing and delish cocktails!